Mileage Around 100,000 though currently being rebuilt. Additional information This is a genuine UK supplied vehicle (all matching numbers) sold new by AFN in Isleworth and was I’m told one of the first RHD Targas in the UK. My car features in the book “Porsche 911 The Complete Story” by David Vivian (Crowood Autoclassics ISBN 1-85223-330-3). I have owned the car since 1983. I am a full time wheelchair user so to find a Sporto was useful. 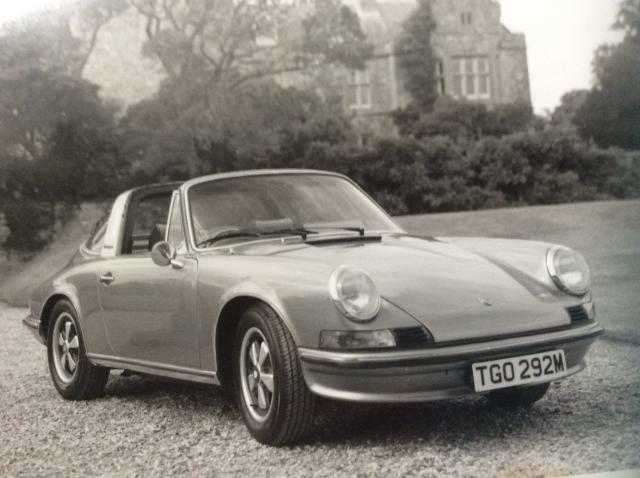 At present the car is laid up in my garage; it was last restored (back to monocoque with mostly new panels) in 1988 by Porsche approved body shop F W Jesty in Christchurch, Dorset. All is pretty much original with sensible modernisation such as hydraulic tensioners, braided brake lines, etc. - the first owner specified sport seats, the larger “S” brake calipers and the upgraded Koni shocks. As far as I am aware, all four wings & rear 1/4 panels are still very sound. One door is tatty (have a galvanized replacement from a later vehicle). The bonnet is OK though I have a new one also. The wheels are the correct Fuchs alloys. Though original galvanized floor pan has been welded and I expect this, the area around the battery boxes and sills will need some attention. The engine has been completely rebuilt by a good local specialist who I have used for many years (currently out of car though I plan to get to MOT standard). The trim is serviceable (1/2 leather sport seats) though if I was finishing would restore completely. I was wondering whether to have the restoration finished myself which would of course push up the purchase price, or whether it might be more attractive to a potential new owner if he or she could finish to their own specifications.